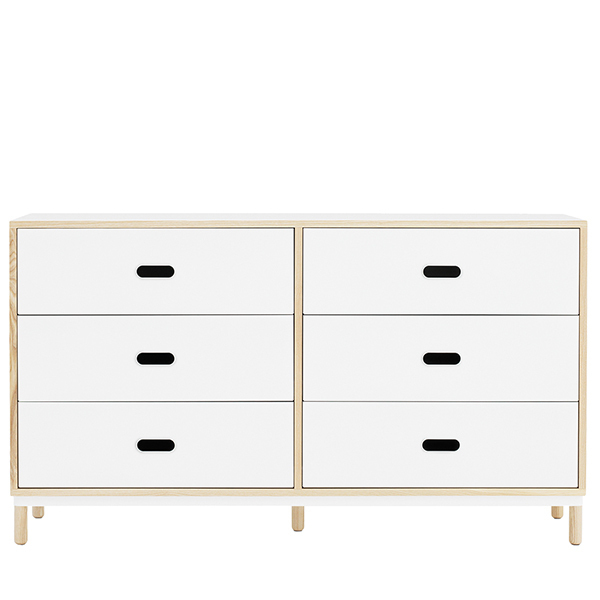 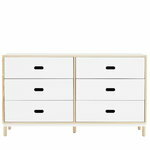 Kabino dresser by Normann Copenhagen consists of six stylish metal drawers in two rows. 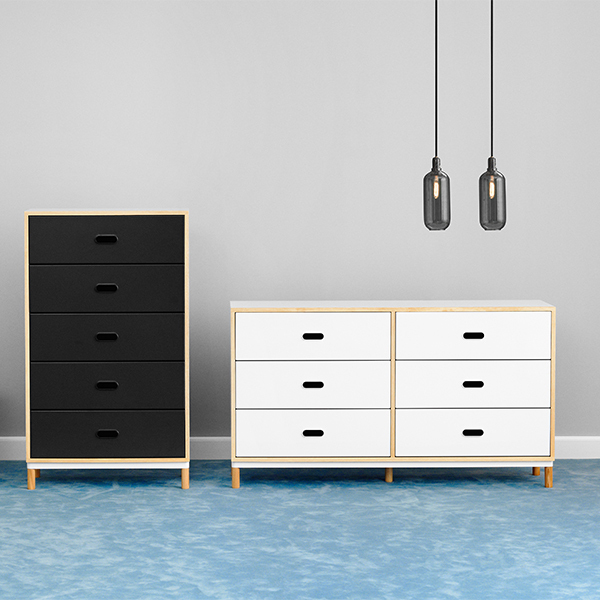 Designed by Simon Legald, Kabino storage furniture is characterized by an urban, industrial look that is softened by light, wooden details. 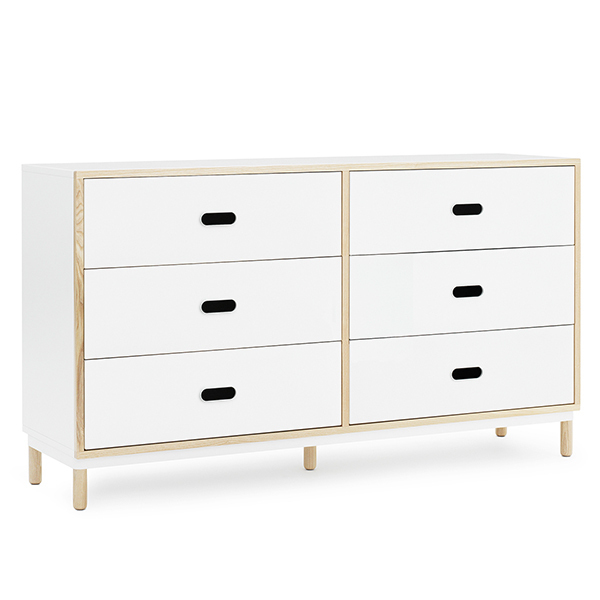 Thanks to their simplistic appearance, pieces of the Kabino collection will serve in the office, kitchen as well as the hallway. 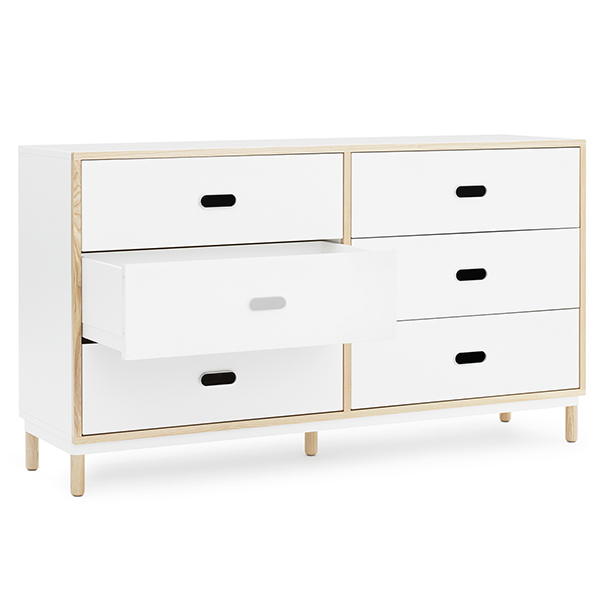 When the legs are removed, Kabinos can also be stacked on top of each other.